It’s been two years since the BMW X2 prototype began to tease our senses. Any BMW enthusiast knows that the X series uses even numbers for its more stylish models and odd numbers for the function-over-form vehicles. You’d also picture the BMW X2 as a larger vehicle than the X1, and that paints a very intriguing picture from the German automaker. The press pictures show a flashy Galvanic Gold vehicle that looks bold and stylish, but the compact crossover design isn’t anything extraordinarily unique. Perhaps something in the details is the difference maker. Let’s check it out. The 2018 BMW X2 is undeniably good-looking. It has the proportions of an athletic vehicle – an elongated hood, a low roofline, curves in all the right places. Full LED headlights and taillamps are standard and definitely appealing, even if far from unique. The front and rear overhangs are minimal, again emphasizing a capable sport activity vehicle. But when you compare the X1 and X2 dimensions, the X2 is surprisingly not what you’d think. It’s more than 3 inches shorter in length and 2.8 inches shorter in height than the X1, and it’s on the same wheelbase. BMW states that it has “a more muscular look,” but it doesn’t add up. 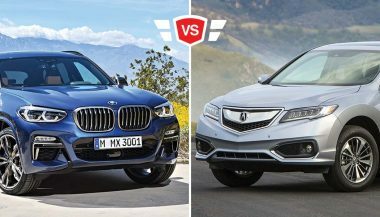 Maybe it should be called a BMW X three-fourths, smaller than an X1. Interior upholstery uses SensaTec as standard equipment and offers multiple high-grade leathers including new Magma Red Dakota leather. High-gloss black interior trim is standard and four other options are available, including LED contour lighting. 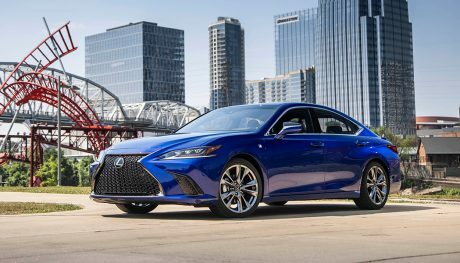 A panoramic roof is on the available options list, along with a 6.5-inch or 8.8-inch Touch Control Display and an optional Head-Up Display. 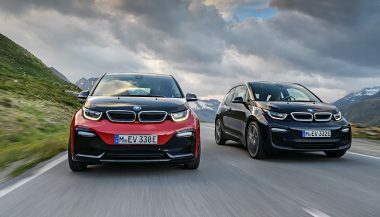 The BW X2 uses the latest digital services from BMW ConnectedDrive and BMW ConnectedDrive Services. Driver-assistive technologies like lane departure warning, speed limit info, automatic high beams, frontal collision warning and pedestrian warning with city braking function, and ACC Stop & Go + Active Driving Assistant are available. Park distance control, the rear-view camera, and parking assistant are also options. 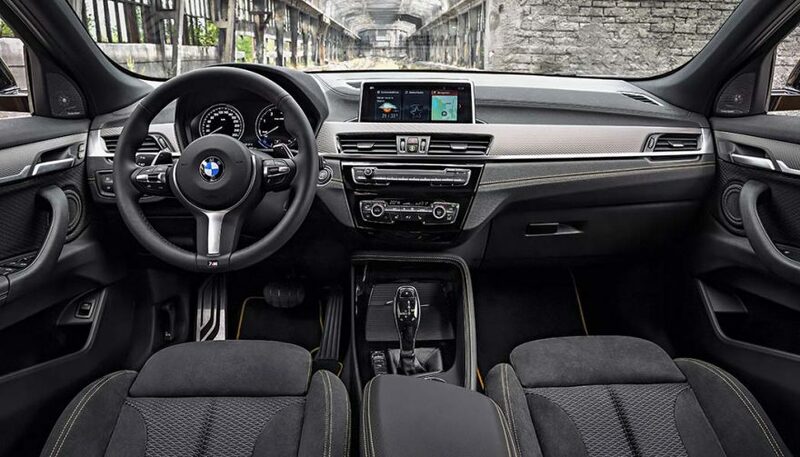 But disappointingly, it’s a carbon copy of the BMW X1’s interior. There aren’t any obvious distinguishable differences here in the BMW X2, and now it’s beginning to seem like just another BMW “Sport Activity Vehicle,” what all the other car makers call compact crossovers. Perhaps the mechanics will shed some light. You can count on BMW to offer an exceptional driving experience, and that’s likely going to be true with the 2018 BMW X2. BMW’s Driving Dynamics Control offers Comfort mode, efficiency-enhancing Eco Pro mode and Sport mode, giving the driver choices in how they want their X2 to feel. Optional Dynamic Damper Control lowers the car on demand .4 inches. So far, there’s no mention of an M package for the X2, but the M Sport X package is a mildly upgraded version of the basic X2. It’s a nimbler suspension package with the aforementioned Dynamic Damper Control and some specially adapted suspension components are standard. Under the hood, the BMW X2 xDrive28i will have a single engine choice – at first, anyway. 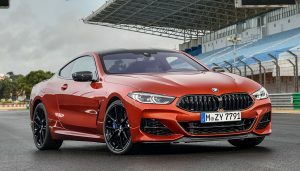 It’s a 2.0-liter BMW TwinPower Turbo 4-cylinder engine that incorporates the latest BMW technology. You’ll find a TwinScroll turbocharger, High Precision Direct Injection, Valvetronic fully variable valve lift, and Double-VANOS variable camshaft timing. It all combines for 228 horsepower and a peak 258 lb-ft of torque. 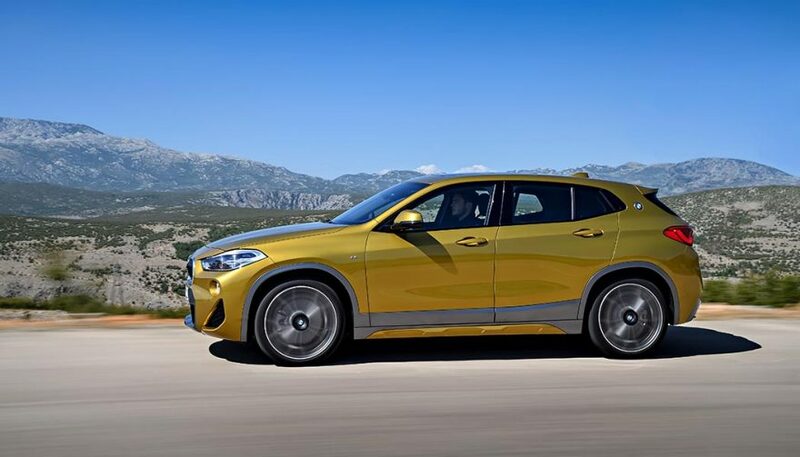 The gearbox of record for the BMW X2 is an 8-speed Steptronic automatic transmission with reduced converter slip and a high gear spread, so you’ll be running lower rpms at higher speeds. With the M Sport X package, a Sport Automatic Transmission is used for faster upshift and downshifts, and also includes paddle shifters. Yes, they feel sportier. No, you’ll never use them. You won’t be blown away by the engine alone in the BMW X2, even though you’ll probably still enjoy it. Add to the engine BMW’s optional xDrive intelligent all-wheel drive, and things get a little more promising. Abandon the front-wheel-drive-only system if you can and choose xDrive. It’s much more precise and stable, even if you never take the X2 off pavement. The powertrain and driving experience are definitely up to par for a BMW, but they aren’t new or special. What Makes the BMW X2 a New Breed? That’s an honest question. 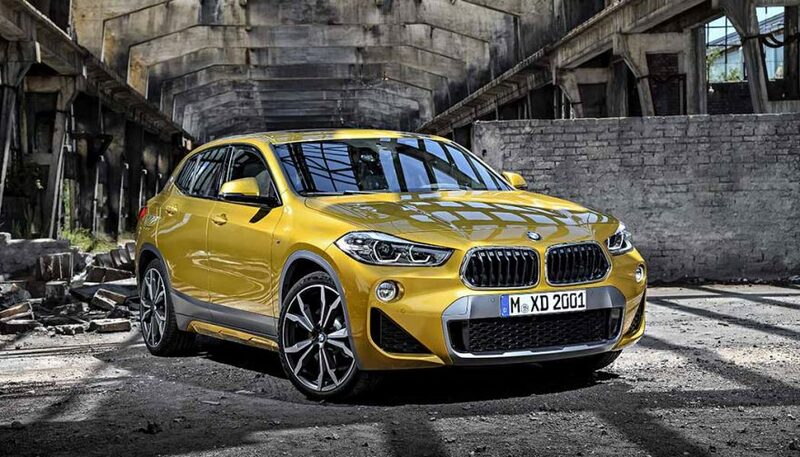 What makes the BMW X2 live up to the hype from BMW? Why is it a “new breed of car” and not just another compact crossover SUV? That’s a question that can’t really be answered at this point. It just seems like a slightly more formal, slightly smaller BMW X1 in nearly every way. Perhaps when the 2018 BMW X2 hits the dealership lots, its differences will be revealed. But it has a steep uphill climb to be considered a new breed of anything. Buying a pre-loved luxury car has its perks, and its drawbacks. 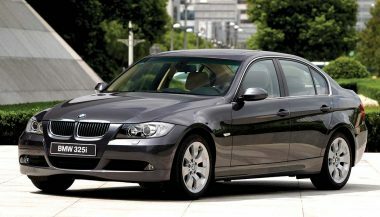 If you're looking for a used bmw, here are eight of the most reliable models.